DannyFanny wrote: Source of the post Or that he didn't capture Tyrion. Ah, good point. Seems pretty obvious now that you say it. Last week it seemed like Drogon burned 7 wagons, we learned it was ONE THOUSAND. Does this mean King's Landing is going to starve? 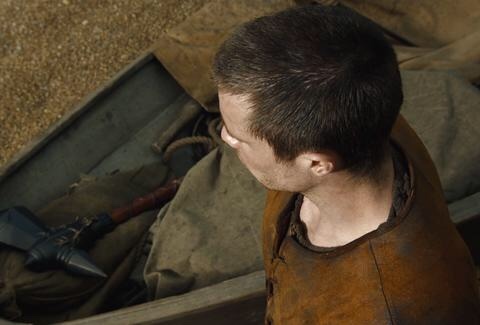 wags83 wrote: Also, it's neat that Gendry uses a war hammer instead of a sword because that's what Robert Baratheon was known for using. Is that why they wanted to hide it on the row boat? I couldn't figure out why they would care if the guards saw it. If they had swords would they also have hid them? It also had the Baratheon sigil on it which probably would have looked really suspicious considering all the Baratheons and supporters are supposed to be gone. It's weird that a few episodes ago Dany and Varyis had a heart to heart and she said he should go straight to her if he sees issue with anything. This episode he is telling Tyrion that he needs to figure out a way to get Dany to listen to him. Shouldn't Varyis be bringing these things straight to her? Tyler wrote: Source of the post Shouldn't Varyis be bringing these things straight to her? He doesn't want to get burnt alive! Varys' Spies? Lanisters never die? TIL you can embed Vimeo videos on CPT. Maybe they should get someone who is somewhat athletic to try it instead of that frickin' nerd. wags83 wrote: Source of the post Maybe they should get someone who is somewhat athletic to try it instead of that frickin' nerd. I want to see a SEAL do it.